Belmopan, Tuesday, 14th February 2012: Over 147 students of the Cristo Rey Roman Catholic School in the Corozal District are no longer exposed to the dangers associated with asbestos thanks to a project which included the rehabilitation of two main school buildings equipped with spacious bathrooms, the supply of computers, office furniture and equipment. The refurbished facilities were officially inaugurated today, February 15, 2010 at the school premises. 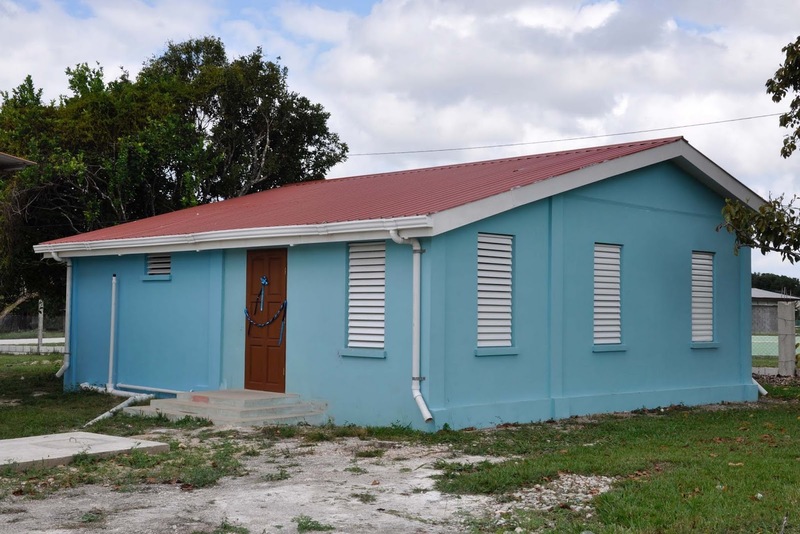 The project was implemented by the Social Investment Fund at a total cost of $300,000 and financed by the Caribbean Development Bank (CDB) under its Basic Needs Trust Fund 5. BNTF is a program promoting poverty reduction through socio-economic initiatives and community empowerment and is jointly financed by the Caribbean Development Bank (CDB), the Canadian International Development Agency (CIDA) and ten beneficiary governments, including Belize. As part of the project a two-classroom building (60 ft by 37 ft) and a one-classroom pre-school building (30 ft by 27 ft) were rehabilitated. These included replacement of the asbestos roof, including the roof sheeting and frames, installation of new doors and windows, new partitions, new ceilings and painting of walls and electrical wiring. 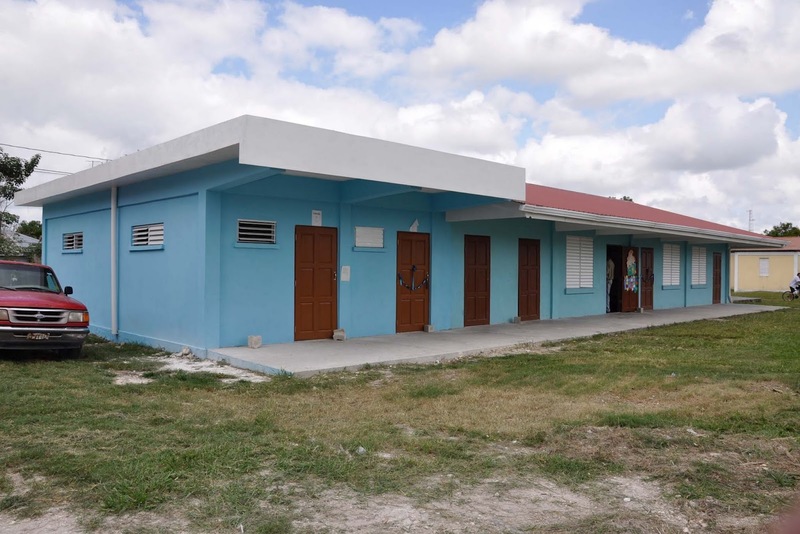 Additional works for the pre-school included the repairing of damaged walls and columns, additional purlins for roof expansion and installation of water gutters. The work scope for the bathroom block included construction of bathroom space for male and females along with shower stall, urinals, toilets and wash basins, septic tank and soak-a-ways. The project also included the provision of furniture, including teacher’s desks, computer desks, book shelves, 8 computers, photo copier, projector, two digital cameras among others. In addition, SIF donated the construction materials, including tiles, light fixtures, sheet rock, AC Unit, windows and doors for the rehabilitation of a third building. The community of Cristo Rey provided labor for the installation of these materials. Prior to the project, students were housed in three school buildings with asbestos roofing, which posed a health hazard to both the teachers and students. After consultations and collaboration with the Ministry of Education, the Ministry of Health has recommended the removal of all asbestos roofs on school buildings countrywide since asbestos has been known to cause lung cancer. Cristo Rey Village is located some 11 miles from Corozal Town; 2 miles from the cutoff of the northern highway or some 10 miles from the Santa Elena border. Most of the villagers rely on sugar cane farming and papaya cultivation for a living. The guest speaker for the occasion will be Hon. Nemencio Acosta, Minister of State in the Ministry of Agriculture, representatives of the Ministry of Education, the Social Investment Fund and Management of the Roman Catholic Schools for the Corozal District among others. For further information please contact Mr Mike Hernandez Jr. (Sr. J.P.) Director of Public Relations for the Social Investment Fund at Tel: 822-0239 or via email at mike.hernandez@sifbelize.org or Cell No. 634-4002.